Happy Halloween!! Boy, do I have a TREAT for you today...another budding blogger. Ash is way ahead of the game....read on to find out why! Have you entered my Weekend Wishlist Giveaway for a little something for yourself? Don't miss out! Hello new friends! I am so excited to share a little bit about myself with you all! Personal info: I am a youngster in the blogging community. I am only 20 years old. I am a junior in college majoring in early childhood education and minoring in special education. I have always felt way ahead of my time. I am so ready to enter the "real world" and start teaching! I live and go to school in lovely New England and if you haven't visited you have to come check it out! It is one of the most beautiful places around however I might be a little bit biased! I spend my weekends shopping for teaching supplies - especially children's books. I need to build an addition just to house all my future teaching supplies. I also love watching reality tv, nail art, polka dots, playing board games, baking, and crafting. Pinterest has sparked a serious crafting obsession in me! Why pay for it if I can make it myself? Here is my new crafting obsession: nail polish rings. They are so simple yet gorgeous! Grade You Teach: My dream job would be to go back and teach kindergarten at my old elementary school. However, teachers can't be choosy. I would be content in any grade, but kindergarten just holds a special place in my heart. I just love watching them grow during that first year of schooling. How long have you taught? : I have been working with children in a school setting for 8 years now from preschool to second grade. I have always been in and out of the classroom since my parents both work in education and I am beyond ready to have a classroom of my own! What is your favorite subject to teach? : My favorite subject to teach is math. I loved math all throughout school. I know math is a feared subject for many but it was the subject that just made sense to me. I loved that there was always a right or wrong answer yet there are so many ways to derive at that answer. I hope to instill a love of math in all my students! What would we likely see if we popped into your classroom unannounced? : If you popped into my classroom unannounced you would see a very active group of students. I love to mix it up with lots of brain breaks and songs and dance. You would also definitely see a theatrical read aloud at least once a day. Reading to children is very important to my teaching. 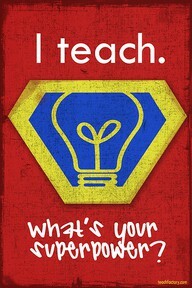 It is such a great reminder that teachers are the world's unsung heroes of the world. The days may be tough but I am making a difference in a child's life and that is all that matters. What is one “can’t live without” teaching resource? 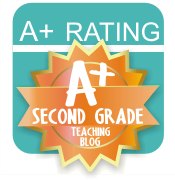 : One teaching resource that I can't live without are teacher blogs and TPT. Being a soon to be 1st year teacher seems daunting. 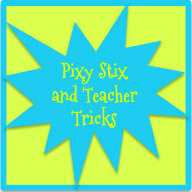 I know that through TPT and the wisdom of veteran teacher blogger ideas I will have all the tools I need to teach! However, I am hoping when I teach to have a smartboard and ipad and I'm sure those will be "can't live without" resources. I am a techy person. Give us a glimpse of your teaching style by sharing a brief summary of a favorite classroom activity/project: I love making learning very fun and hands on! I love mixing games, movement, and songs through teaching. One of my favorite lessons is using foam alphabet letters and hiding them around the classroom. I then have the children go around on a scavenger hunt and try and find all the letters. They then have to put them in order from A-Z to make sure they have all the letters. It is a great way to mix learning and fun and the children just love it! We play this game over and over all year long! You can mix it up with lowercase letters or numbers too! What is one of your blogging goals for this year? : One of my blogging goals for this year is to take more pictures to share with you all. I tend to just post without taking pictures. This is something that will definitely get easier as I go into the classroom more. And once I am in my own classroom, watch out! I will be a picture posting fiend! 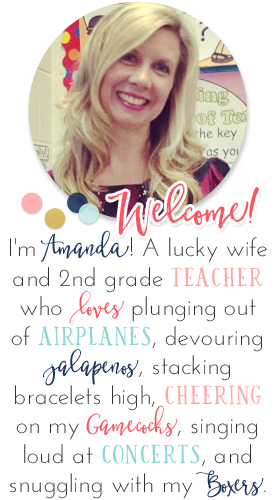 I just want to say thank you to Amanda for allowing me to share my blog with you all. I hope you enjoyed getting to know me! 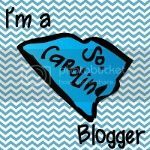 Stop on by my blog! I'd love to hear from you! Can you believe that Ash already has a blog?? Just imagine the amazing resources and ideas she'll have compiled (to use AND share) by the time she has her own classroom! I’m Hsu-Wan Chen from Taiwan, a graduate school student at National Taiwan Normal University. Currently I’m writing my master thesis which is entitled Applying Social Networking Sites to Teaching and Learning: from Teachers’ Perspective. Right now I’m looking for school teachers to be interviewed with their experiences of using social networking sites for educational purpose. If it is so, I would like to have a skype interview with you. Surely I will send you the interview protocol in advance and the interview will take about 20 minutes. Please feel free to contact me at: chenshuwan@gmail.com. I really appreciate your help!